HomeHEALTHIs the Deadly Hepatitis B Vaccine More Dangerous than the Disease? On March 16, 2016, the Burmese newspaper The Irrawaddy reported that three babies had died and 25 others had become seriously ill after receiving hepatitis B vaccinations from the Bago General Hospital in Burma. According to the report, the babies who became ill shortly after receiving the vaccination all suffered from symptoms of blood poisoning. A woman lies near her newborn baby in North Dagon township hospital in Yangon Burma. REUTERS/Soe Zeya Tun – Image source. A total of 28 infants were administered hepatitis B vaccines at Bago General Hospital between March 4 and 7, and that by last week, three newborns had died after suffering from symptoms of blood poisoning. The rest of the vaccinated infants were monitored and admitted to Yankin Children Hospital’s intensive care unit and Bago General Hospital after suffering respiratory distress, fits and other adverse reactions. Blood samples of the infants were sent to Rangoon’s national laboratory. Blood tests of the infants proved that there were bacteria in the bloodstream of the infants, which resulted in blood poisoning. According to the report, the vaccinations were not administered as part of the regular Burmese vaccination program, but instead were purchased from a private pharmacy. What Really Killed These Babies? However, were vaccinations alone responsible for the infants’ ill health or were there other contributing factors? According to The Myanmar Times, it appears that shocking neglect and unprofessional behavior on the part of the nursing staff may have also played a part in the deaths of these babies. He was born at 4 am on March 5, and two days later received a routine inoculation for hepatitis B. Within hours, he turned blue, had difficulty breathing and blood starting coming out from his mouth. However, instead of acting immediately as one would expect, according to the report, the doctor in the emergency room appeared to be more interested in his computer game than assisting the dying child. When they finally got to the emergency room, the doctor was playing a game on his phone, according to the family. He made them wait 10 to 15 minutes while he finished the game. The doctor only began to pay attention when another parent entered the emergency unit carrying a baby with the same symptoms, according to U Thein Aung Zaw. The infants were taken to an intensive care unit, and the parents shut out. More newborns kept arriving. Told next to nothing by the medical staff, who would only say the infants were ‘very sick,’ the parents pinned the cases on the one thing they seemed to have in common – the hepatitis B vaccine. The vaccine is no longer being required at birth – the national program now includes a pentavalent inoculation administered at two months – but parents said they were pressured by the nurse to agree to the injection. We had no money for the vaccine, but the nurse urged me to protect my child so I borrowed money for it. After my son was born, the doctor told me he was healthy and fine. By 8:30 pm they told me my son had died. They asked me if I wanted him buried in the hospital or if I wanted to take him back to my village. I couldn’t afford what they were charging at the hospital so I took my son’s body to the village. Hepatitis B Vaccine – More Dangerous than Hepatitis? The hepatitis B vaccine is a vaccine that was developed for the prevention of hepatitis B infection. In 1981, the first hepatitis B vaccine came into use, but was discontinued in 1990 because it was an “inactivated” vaccine and involved the collection of blood from hepatitis B virus-infected (HBsAg-positive) donors. However, despite the introduction of a “safer” vaccine in 1986, adverse reactions continued to mount. In 1996, the U.S. alone reported that there had been 872 serious adverse events in children under the age of fourteen who had received the hepatitis B vaccine. Out of these, 48 children were said to have died. When you compare these figures to the lower figure of 279 children under the age of fourteen years who actually contracted the hepatitis B infection in the same year, one has to consider whether the vaccine was proving to be more dangerous than the threat of contracting the actual disease. According to Dr. Gregory Damato, a total of 24,775 adverse reactions were reported to the Vaccine Adverse Events Reporting System (VAERS) between 1990 and 1999. These included 439 deaths and 9,673 emergency room visits. There were also reports of arthritis, skin disorders, compromised immunity and autoimmune disease, neurological damage, vision loss and rare eye disorders, such as optic neuritis and epitheliopathy, blood disorders, diabetes, damage to liver and kidneys, severe vomiting, and diarrhea. It is important at this stage to remind ourselves that VAERS is a U.S.-based system only, therefore the true number of adverse reactions is not known. Currently, in the U.S., the hepatitis B vaccine is given to a baby at birth, which many see as unwise, unless the baby is known to be at risk from the virus. Yeasts are distinguished by a growing track record as expression platforms for the production of pharmaceuticals. Commercially available, yeast-derived, recombinant pharmaceuticals include, among others, insulin, the anti-coagulant hirudin, interferon-alpha-2a, and various vaccines against the hepatitis B virus and papillomavirus infections. The vaccines are produced in either baker’s yeast (Saccharomyces cerevisiae), or the methylotrophic species Hansenula polymorpha and Pichia pastoris. In this article, we focus on a production process for hepatitis B vaccines in methylotrophs. Methylotrophs provide highly balanced production of both the membrane and the protein component of a recombinant viral particle. A brief outlook is given for the development of yeast strains designed for the production of other vaccine candidates. The vaccine may not be recommended for those with documented yeast allergies or a history of an adverse reaction to the vaccine. the baby has an allergy to yeast. the child has an allergy to any of the other vaccine ingredients. In this paper, we have presented some analyses of the VAERS database which strongly suggest that the aluminum in vaccines is toxic to vulnerable children. While we have not shown that aluminum is directly causative in autism, the compelling evidence available from the literature on the toxicity of aluminum, combined with the evidence we present for severe adverse reactions occurring much more frequently following administration of aluminum-containing vaccines as compared to non-aluminum containing vaccines, suggests that neuronal damage due to aluminum penetration into the nervous system may be a significant factor in autism. The fact that mentions of autism rose steadily concomitant with significant increases in the aluminum burden in vaccines, is highly suggestive. This is particularly bad news to any parent considering having their children vaccinated, as a growing number of the childhood vaccinations now contain the adjuvant aluminum as an ingredient. This was explained in depth by pediatrician Robert Sears, in his excellent article published in the magazine Mothering in 2008. Dr. Sears is another professional exceptionally worried about the effects of aluminum on children’s health. In an article warning mothers about the dangers of vaccinations containing the adjuvant, titled Is Aluminum The New Thimerosal?, Dr. Sears explained that aluminum is added to vaccinations to help them work more efficiently. He stated that although this would not normally be a problem because aluminum is a naturally occurring element found everywhere in our environment, including our food, water, air and soil, he had become worried about the effects that aluminum was having on children’s health. He began to wonder if anyone had ever actually tested the safe level of injected aluminum. However, none of these documents or studies mentions vaccines; they look only at IV solutions and injectable medications. Nor does the FDA require labels on vaccines warning about the dangers of aluminum toxicity, although such labels are required for all other injectable medications. All of these studies and label warnings seem to apply mainly to premature babies and kidney patients. What about larger, full-term babies with healthy kidneys? However, these documents don’t tell us what the maximum safe dose would be for a healthy baby or child, and I can’t find such information anywhere. This is probably why the ASPEN group suggests, and the FDA requires, that all injectable solutions be limited to 25 mcg; we at least know that that level is safe. You do not have to be medically qualified to understand that these levels far exceed the safe levels recommended by ASPEN, especially when you consider that a newborn baby is vaccinated with the hepatitis B vaccine, containing 250 mcg of aluminum, at birth! Although aluminum toxicity is not commonly detected clinically, it can be serious in selected patient populations, such as neonates (newborns), and may be more common than is recognized. If this is true, then why are all newborn infants, including those born prematurely, vaccinated at birth against hepatitis B, with a vaccine loaded with more than the recommend safe levels of aluminum? For more information on the dangers of aluminum in vaccines, read the large number of papers archived on the CMSRI (Children’s Medical Safety Research Institute) website. One doctor, who was pro-vaccine, the late Dr. Bernadine Healy, expressed her concern about infants receiving the hepatitis B vaccine. She, alongside other medical experts, was concerned about exposing infants to the vaccines’ potential side effects at such an early age, unless the infant is at risk of contracting the disease. It’s unnecessary to expose infants to this vaccine and its potential side effects at such an early age, unless they are at special risk for contracting the disease; most infants have no direct contact with body fluids of someone infected with hepatitis B, so what’s the rush in exposing them to the series of vaccinations? Speaking to VRAN (Vaccination Risk Awareness Network), Dr. Girard suggested that even in high-endemic countries, the risk/benefit ratio of what he described as “this unusually toxic vaccine” must be carefully reassessed. 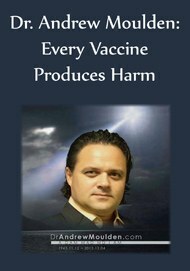 Dr. Girard recently disclosed evidence demonstrating that this specific vaccine is remarkable by the unusual frequency, severity and variety of its adverse events. He also reported that studies performed by the French health authorities and revealing clear auto-immune risks have remained unpublished. So, what about the overwhelming majority of infants who won’t engage in any of the activities that put individuals at risk for catching hepatitis B, or whose mothers have not tested positive for the disease? Does it still make sense to administer a hepatitis B vaccine in infancy? Additionally, the hepatitis B vaccine currently administered to infants was previously only recommended to adults who were at a high risk for contracting the disease. However, because a large percentage of these high-risk individuals elected not to receive the vaccine, the government adopted an alternative approach to managing hepatitis B: universal administration. Thanks to the choices of a minority of high-risk individuals, now all children born in the U.S. must receive a vaccine at a time in which their immune systems are still fragile. 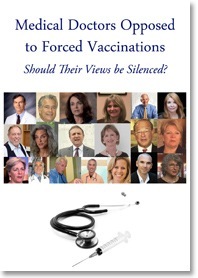 Clearly, there is much controversy surrounding the safety of the hepatitis B vaccination. Whether or not it was the vaccine itself that caused the outbreak of blood poisoning in Burma or unsanitary hospital conditions has not been officially determined. However, all vaccinations should be rigorously tested and proven to be safe and effective prior to recommendation. The vaccines must also be appropriately handled and administered by knowledgeable and competent medical professionals and when adverse reactions do occur, the staff must be trained to recognize the potential for vaccines to be the cause and be able to provide the necessary care to protect each valuable life. Are Gender-Bending Chemicals Causing Gender Confusion? AMERICA: UNDER MIXED WAR WHILE FEEDING THE KHAZARIAN / CABAL DEATH CULT FOR 100+ YEARS WHICH IS DESTROYING AMERICA & ALL PEOPLE!